Initially, the board for skiing used by the aborigines of the Hawaiian Islands for movement on the water. And the Turkish mountaineers a few centuries ago noticed that it’s very convenient and quick to descend on the snowboard slopes. However, the first snowboard appeared only about 50 years ago. It all happened on a snowy Christmas day. In 1965, American gas engineer Sherman Poppen decided to make a Christmas present for his daughter. In his garage, Sherman found a pair of water skis, which he decided to tie together. He presented the finished sports projectile to his daughter as a means of skiing on snowy slopes. After a while, Sherman noticed that all children ran to his daughter. The guys raced down the snow slopes, and they enjoyed it immensely. Since then, the designer decided to patent his discovery. In those days, surfing was very popular, and Sherman Poppen decided to add a prefix “snow” to this word. So it turned out “snelfer”. Later, the snefer was renamed into a snowboard, and since 1994 snowboarding is an Olympic sport. Today, snowboarding is actively developing. There are already several of his styles: freestyle, freak, freeride and others. 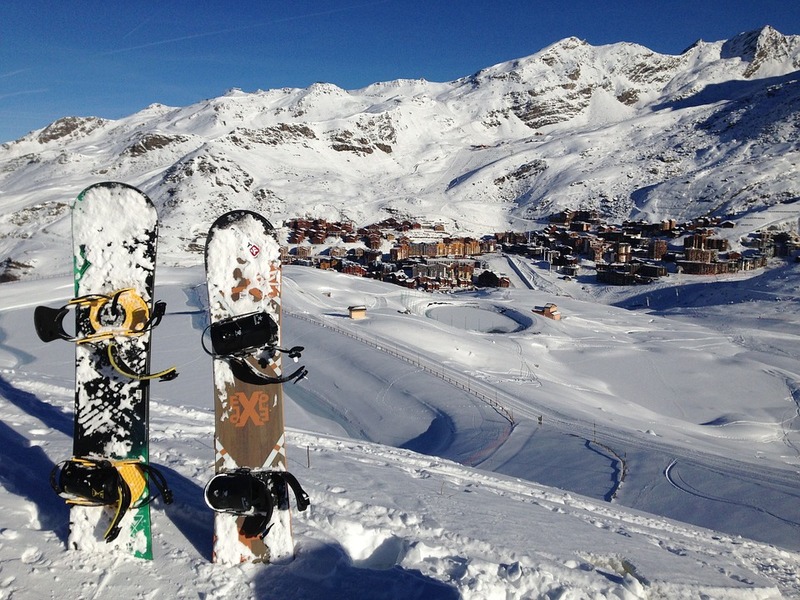 Like other sports, first of all snowboarding has a beneficial effect on the functioning of the cardiovascular system. A great benefit is fresh winter air, load distribution during driving and high speed skiing. All this trains the heart muscle and helps keep it toned. Snowboarders note that in winter they manage to throw off a few kilograms, as during the skating a huge amount of calories is lost. 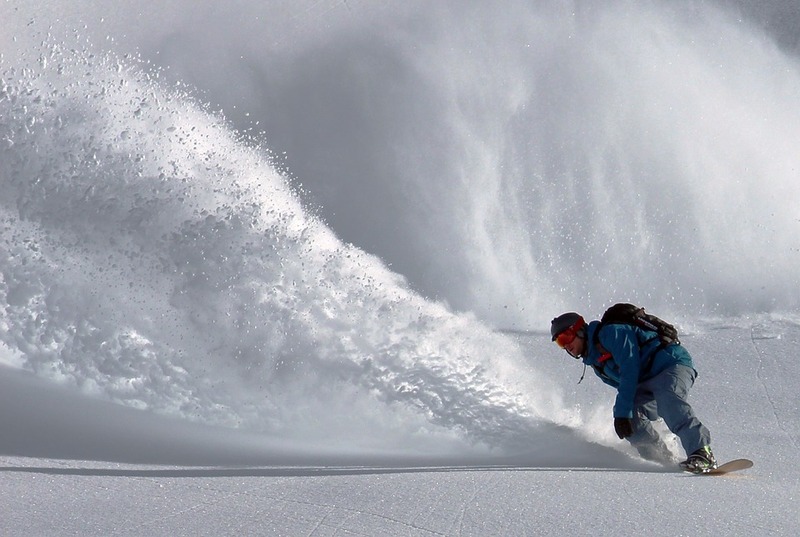 The uniqueness of snowboarding, as a sport, is that by engaging in it, those groups of muscles that do not train in other sports are involved in the work. Here the whole secret is the balance with which every snowboarder must cope when descending. In order to keep on the board, you need a well-coordinated work of quadriceps, hamstrings and gastrocnemius muscles. The muscles of the ankles and other minor muscles of the trunk and legs help to balance. Even the muscles of the shoulders and arms help to stay in the upright position during descent. It is useful for snowboarding and that it develops flexibility in the athlete, and also helps to concentrate and make quick decisions. In addition, riding on snowboarding, you will feel a huge emotional “relief”, because when you are snowboarding, there is a huge amount of endorphins (almost twice as much as when jogging, swimming or playing tennis). So, if you decided in winter to do this sport be prepared for injuries. Unfortunately, you cannot avoid it , since snowboarding is a traumatic sport, especially for beginners. Remember how many lumps you had before you confidently could ride a bicycle. It’s still more difficult here. 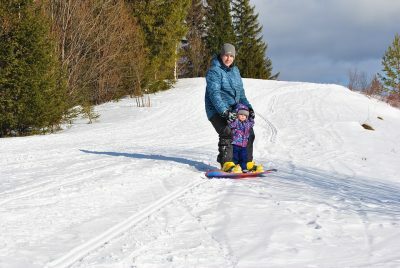 Nevertheless, you should not be afraid of snowboarding if you are properly equipped and adhere to all safety rules. In this case, the injuries will be minimal and will not cause you trouble. The most basic defense in snowboarding is the helmet. NEVER ski without a helmet, even if you are a professional. On the one hand, the helmet protects the head from possible injuries when falling, and on the other hand protects you from weathering. Clothes for snowboarding should be “breathing”. It can be purchased at specialized sports stores. Snowboarding costumes do not get wet, but you do not have to sweat in them. Another very important detail: unlike the skier who falls to the sides, the snowboarder mostly falls back or forward. In this regard, you need to protect your hands, buttocks and back. For these purposes, there are special plastic shells, shorts with shock-absorbing pads, gloves and elbow pads. On knees it is necessary to put on knee pads. And the most basic protection in snowboarding is your caution. 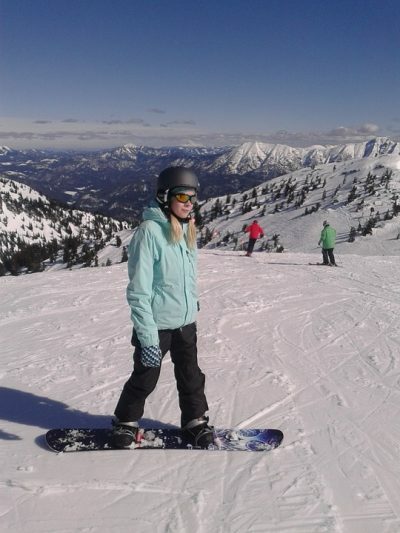 You do not have to run down the slopes, especially if you are a beginner. Moderation in speed and vigilance on the descents will protect you from many injuries in the future, and will help to get a real pleasure from snowboarding.